More than 260,000 El Salvadorans are facing deportation from the United States — four times the number of Haitians. A belief among Haitians that their status will end in January sent thousands fleeing to Canada. 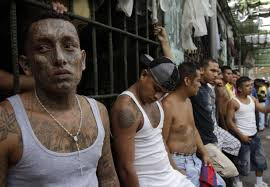 There are others whose protected status is also expiring, among them Hondurans and Nicaraguans. About 86,000 would be affected. It's virtually certain a new wave of 'asylum seekers' will cross into Canada illegally. 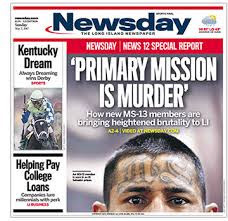 In October the US designated the MS-13 street gang as a priority for the Justice Department. 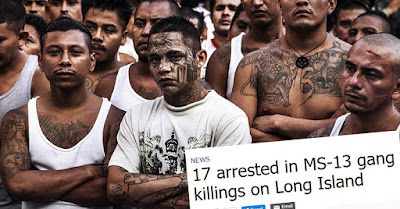 MS-13 (Mara Salvatrucha; also known as simply MS or Mara) is an international criminal gang that originated in Los Angeles in the 1980s. Most members are ethnically El Salvadorans or of Central American origin. They are notorious for their violence and cruelty.